Tax payers seeking non deduction of tax from certain incomes are required to file a self declaration in Form No. 15G or Form No.15H as per the provisions of Section 197A of the Income-tax Act, 1961. In order to reduce the cost of compliance and ease the compliance burden for both, the tax payer and the tax deductor, the Central Board of Direct Taxes (CBDT) has simplified the procedure for self declaration and introducing new Form 15G and new Form 15H in new format. The procedure for submission of the Forms by the deductor has also been simplified. The revised procedure shall be effective from the 1st October, 2015. What is Form no. 15G / Form no. 15H? If your total income is below the taxable limit, you can submit Form 15G and Form 15H to the bank or any deductor requesting them not to deduct any TDS on your interest. Form 15H is for senior citizens who are 60 years or older and Form 15G is for everybody else. Form 15G/H help customers to avail exemption from TDS on interest earned on investments like bank fixed deposits or EPF withdrawals in a financial year. A fresh form 15 G/H to be submitted in each new financial year by the start of every financial year. Upto Rs 2,50,000/- for residents of India below the age of 60 years or a person( not being a company or firm ). Upto Rs 3,00,000 for senior citizen residents of India who are between the age of 60-79 years at any time during the FY. Upto Rs 5,00,000 for senior citizen residents of India who is 80 years or more at any time during the FY. Under the simplified procedure, a payee / an individual can submit the self-declaration either in paper form or electronically. The deductor (Example – Bank) will not deduct tax and will allot a Unique Identification Number (UIN) to all self-declarations in accordance with a well laid down procedure. The particulars of self-declarations will have to be furnished by the deductor along with UIN in the quarterly TDS statements. The requirement of submitting physical copy of Form 15G and 15H by the deductor to the income-tax authorities has been dispensed with. The deductor will, however be required to retain Form No.15G and 15H for seven years. Click on the below image to ‘Download‘ new Form 15G and new Form 15H in PDF format. The attached file also has detailed instructions on how to fill new Form 15G & new Form 15H. How to fill New Form 15G / Form 15H? – Step by step guide. Latest TDS rates chart for FY 2016-17 or AY 2017-18. My mom’s annual family pension for 2017-2018 is 2,07,168/- while the interest an all her FDs is 1,01,513/-. Can she submit 15G form ? her age is less than 60 years. Dear sadhli ..Is she going to claim any Tax deductions?? For Senior citizens the only condition is that their TAX LIABILITY Should Be Nil. Even if the Interest Income (including submissions to all institutions) exceeds the maximum Limit ,they can submit the Form 15 H.The total income means not GROSS INCOME. IT IS GROSS INCOME MINUS ALL ALLOWABLE DEDUCTIONS.IT IS THE TAXABLE INCOME.Means the tax liability should be NIL. Thanks for the input but she is 55 so it’d 15G form and not 15H for which I needed your help. Regarding Tax Deduction, no she does not claim any tax deductions but she has one ELSS of 5000/-(tax benefit). I am still not clear as to why her gross and taxable income would be different as she is not wrking and getting only family pension from my dad’s employer. Then is it necessary for her to have any allowable deductions ? I mis-read it as 60 years.. Yes, Form 15G is applicable in her case. Kindly note that Family pension income is taxable. As, her total income is above basic exemption limit (Rs 2.5 Lakh), she cant submit Form 15g. There has been a slight mistake in my mother’s Form 15G for the FY 2017-18. In column 15 of Part I by mistake YES has been checked instead of NO. My mother does not file her annual return so till date is not assessed to Income tax. The fault is on part of the bank authorities, but now they are refusing to accept their mistake. Now, Sir, please guide me about the procedure to correct or rectify that error. and whether that error will ever cause any trouble or not ? I believe that should be ok. If possible, you may submit new Form 15G online..Check out if your bank provides online provision..
Would it cause any serious problem ? I was working with an organization for a period of 2 years from 2009-2011. after quitting the job did my own practice, and have rejoined in another firm currently. Till date i have not withdrawn my epf of the period 2009-2011. 3) in form 15 which AY should be written for previous years accumulated EPF withdrawn now. Are you contributing to EPF scheme now in your current job? If yes, you have to transfer your old EPF monies to new account. Thanks for your previous reply..
Is it right Sir, Please, confirm it. I am extremely sorry and excuse me Sir as I have doubted it. It is the year for which declaration is being made, so it is 17-18 only. Dear Sir, Through your mail I came to know that 15G is valid for local residents only. I am settled in Gulf since 2007 & since then every year I am furnishing 15G to my bank. Now what is the solution? Mis-use of Form 15G (may be due to ignorance) is not acceptable. Suggest you to consult a CA and check about the corrective measures. My Fixed deposit has already matured on date 01/03/2017 and again automatically renewed for one more year in SBI. I am Senior Citizen. My question is shall I submit Form 15 H before 31 st March 2017 or in the month of April 2017 and up to what date? If i dont submit Form 15 H before 31 st March 2017, will tax be deducted? Note :-I have already submitted form 15 H in the month of November 2016. As you have already submitted the Form 15H for FY 2016-17, you can submit the form again in April 2017 on the renewed FD. Only a person who is resident in India can submit form No.15G / 15H. So an NRI cannot submit this form. does it mean that for every FD we have to fill up Separate form ? I have two FD at same branch of sbbj bank the aggregate interest of which is more then 10000 so should I have to submit separate declaration in form 15G for both FD’s. Dear Mohseen ..You can submit one Form 15G to the bank. I resigned during August 2015, currently unemployed( but earning scholarship for studies). I need to withdraw my EPF amount(12000). What is the Assessment year to be entered and PY? If you are withdrawing now in this FY 16-17, then Assessment year (AY) is 2017-18.
what to fill in the columns 16 & 17, if I am opting for pf withdrawal only at the same time I dont have any income other than the salary from my company and the interests being generated on that saving in bank???? Col 17 – Expected salary + interest income. Read : How to fill new Form 15G? Hi Sreekanth, I have been working with Accenture for 4 years, and have quit last month to pursue my higher studies. 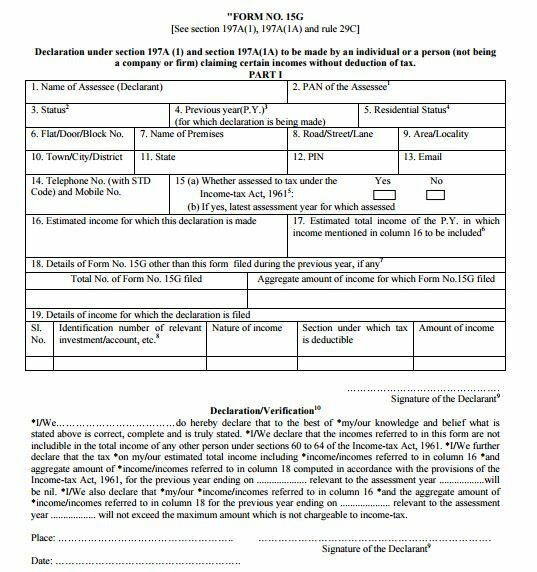 I am withdrawing my PF, and in the Form 15G, Part 2 requires to be filled by the person responsible for paying me my income so far – which is my company. It even requires a signature. How do I get this filled? I have left the company. Dear Remya ..It is filled by the EPFO and not your employer. Read: How to fill Form 15G? Dear Neha..Yes, it applies to Renewal of FD also, as the FD Certificate number of the new FD is different and 15G has to be submitted for each FD number. Hi, while filling the Form 15G under 23 column(New Form 15G) i am confused to give the answer as i have no income from any other sources like Dividends, Fixed Deposit etc which are mentioned in the Column 22. I have given Nill in Column 23 to my Employer while opting for PF withdraw but they are repeatedly asking fill in the Column 23 and ship it once again. Can you please help me out. Appreciate your help in advance. I believe that above is the new format forms?? Dear Manohar ..Kindly share the new format ones (or links if any) if you have, will surely update the same. My mother is getting Family Pension, for last many years, not senior citizen, from my dad’s government employer after his demise. She also has FDs of gratuity, ppf, pf (received as my dad’s savings). These all have interest > 1L. Initially bank manager told to keep submitting 15G form as interest on FD should not be deducted as TDS. So she used to fill every year till last year. But as this year FY 2016-2017 the 15G format is changed she had doubts and did not fill. Now calculations…her annual pension FY 2015-2016 2,67,000 (after deducting 15000 of exemption as Family Pension) and it does not include any of interest of FD. And she did fill 15G last year thinking it wont cross the taxability limit. But tax was deducted as TDS as we dint fill 15G this year after seeing 26S form. So can I file tax return for FY 2016-2017 to claim deducted tax. 1. Did we file 15G forms incorrectly as we should be doing so. 2. If #1 is right then can anything be done to get it revised/corrected ? You may file Income Tax Returns for FY 2015-16, 2015-14 & 2014-13. For belated returns you may have to bear the penalty and/or interest dues. Your advice for submitting Form 15 H is totally Wrong. Even if the Interest Income (including submissions to all institutions) exceeds the maximum Limit ,they can submit the Form 15 H.The total income means not GROSS INCOME.IT IS GROSS INCOME MINUS ALL ALLOWABLE DEDUCTIONS.IT IS THE TAXABLE INCOME.Means the tax liability should be NIL. 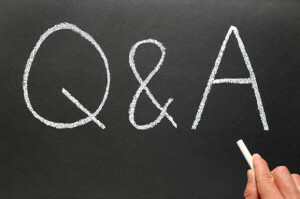 Thanks for sharing your inputs and agree with you. Regarding Form 15G, my earlier comments/replies match with your point : For example, my reply to Prerna Shah. In case if my replies to queries related to Form 15H are wrong, I stand corrected. Axis Bank internet banking did not allow Form-15G generation, though my interest income is much less than 2.5 Lakhs. (This is the only income I have, and I have been filing 15G manually in the previous years). When I checked with the bank branch, they said the maximum threshold for generating 15G is only 1.5 Lakhs . Is this true ? I was told that other banks are accepting 15G for upto 2.5Lakhs of interest per year. Dear Nair..I believe that they are mis-leading..
Dear govindaiah..Are you currently contributing to EPF scheme? Can I submit 15h form online in Icici bank? Please clarify. Also can I submit 15h form online for SCSS in ICICI bank. Dear Gaurab..I am not sure, kindly check with your banker. My friend resigned from current service (have only 4 years of service) w.e.f. 30th April and going abroad. He wants to close PF. While submitting the required forms, how to fill Form 15 g? As points 4, 16, 17 & 19 of Part I asking for Previous year details, how to fill the same? ; as there are 4 years’ of service . Dear Dona..kindly read: How to fill Form 15G? I am confused about few points, can you please help clarify them. The form 15H is futuristic, i.e. if my income in FY2016-17 is not going to exceed the taxable income slab of 2.5 Lakh then I should fill 15H at the start of the year. The main confusion is regarding the PY(Previous Year) concept. 15. Estimated income for which this declaration is made:- is it income for FY2016-17? 17. Details of Form No 15H other than this form filed for previous year, if any:- Again why the 15H of the previous years? And it says ‘other than this form’ but I am filing this form for FY2016-17 then why it is considered for previous year? A little clarification on boxes 14, 15, 16, 17 will really be very helpful. Read: How to fill Form 15G/H? My gross total income as filed in the income tax returns for 2014-15, was 309836. After tax saving deductions under : Deduction under Chapter VIA (PPF, Medical Insurance policy), my income was 138590 and my tax liabilities came to nil. My income remains the same this year too. Can I submit the 15 G form this year? And thank you also for the detailed information on how to fill up the form. If the total interest income is below ‘basic exemption limit’ and if the tax liability (gross income – tax deductions) is NIL then one can submit Form 15G. I am recently retired in Dec 2015, I want to invest Rs 40 Lac in securities, Fds, I dont have any other income, but the accumulated interest may be appro 4.5Lac. Dear vinod..What is your exact query? May I know your investment horizon & investment objectives? Dear srinivasan..Are you employed and contributing to EPF scheme now? Dear srinivas..You can transfer your olf PF a/c monies to your new a/c. Suppose total interest accrued on TD and RD for FY-15-16 exceeds slightly exemption limit of 2.5 L and 15 G is filed but does not reflect in Form 26 AS what is solution as law abiding citizen. The taxes on FDs/RDs can be paid on yearly basis or on maturity basis. Personally I believe that it is better to file them on yearly basis. if income is 400000/- (income from salary + interest income) and investment in 80 C is 150000/- can i submit 15 G.
Dear prakash..No you may not be eligible to submit Form 15G. Can you please let me know is there any common 15H format for submiting it to various banks or we have need to submit the forms shared by the respective banks only. My father deposits in three different PSU banks and we are not sure form 15H available in your site is accepted by the banks. Dear Pavan..It is same across all the banks. Some banks do provide online submission facility too. Kindly check with your banker(s). I am a senior citizen, aged 66. I am working and my total income including bank interest will be more than Rs.3,00,000. But after my proper saving in PPF, the taxable income will be nil. Please advise whether I can submit new form no.15H to the bank. Dear Rukmani Ji.. As your gross income is more than the basic exemption limit, you may note be eligible to submit Form 15H. Hi, I want to submit form 15G to save TDS. But My home branch is located in Lucknow and I am living in Delhi. Is there any way I can do all the process from Delhi itself without going back to Lucknow . I have researched enough there is no way you can do it Online. SBI online portal gives you option to generate Form 15G/H but you cannot submit it. The submit button is “freezed”. Can I do it from any local Delhi branch?? Dear Pranjal..You may kindly check with your banker. I am a senior citizen.I submit 15H form in April2015 assuming that my total income does not exceed Rs 300000. No tds deducted. Now I calculate my pension for the year ended 31march 16 was Rs 220000 and interest from fixed deposit Rs 130000. Total Rs 350000 .I bought Senior Citizens Savings Scheme Rs 60000 in march 2015. This scheme qualifies for the benefit of Section 80C. So my income after deuction 350000-60000=290000 under the limit.I also submit income tax return next month. My question is now can I submit 15H form in april for this year or not? Suppose this year also my income about to same last year and I will buy NSC or Senior Citizens Savings Scheme and bring down my total income in limit. For this FY, it depends on your expected future income for this FY. Kindly note that you need to look at the total gross income and not after deducting tax exemptions. I have fixed deposit in joint with my mother in law’s name as her name is principal and my name is in joint with her. She used to file 15h form for TDS. Now she passed away. so can i file the 15 g for the same fixed deposit? is there any way in this situation to have bank not to cut TDS? Dear Shilpa..You can submit Form 15G if your gross income is below the basic exemption limit. Kindly read: How to fill Form 15G? Where can i download new form 15H? Please Suggest, It will be a great help. My income comprises only of interest income and I am not a senior citizen. My estimated interest income for 2016-17 will be around Rs.3.33 lacs. Every year I invest Rs. 1.00 lac in Bank deposits for 5 years maturity under section 80C. Thus my total tax liability for the year will be Nil. The deposits are spread out in 4-5 banks so that interest income from any one Bank does not exceed Rs.2.50 lacs. I am religiously submitting form 15 G to all these Banks and thereafter filing my IT return. In the old format, the information to be submitted only pertained to estimated income for the year. It was only an estimate and if I submitted a lower income, it did not tantamount to submitting false information, and I was sure that at the end of the year my tax liability would be Nil. Now in the revised format, information about 15 G forms submitted to other banks is also required to be furnished. Thus it now becomes impossible to submit the form,as the total income exceeds Rs.2.50 lacs. The problem is if I submit wrong/false information, it is illegal.If I submit correct information, TDS of around Rs.30,000 will be deducted for which I have to claim a refund in my return. Is there any way out to ensure that my TDS deduction is Nil? Your understanding is correct. There is no other way, if banks deduct TDS (based on your expected income), you can reclaim it through refund (as mentioned by you). can we submit the investment details u/s.80c to the department and can obtain the same for not to deduct the TDS on interest on the various FD’s. Dear nijaguna..Which department are your referring to? If your income is below basic exemption limit, you can submit Form15G/H to your banker or financial institution so that they will not deduct the TDS. Dear SHUBHI..You can submit fresh form 15g to your banker with correct details. Kindly display a filled up sl.no.18 of 15H Form for submission to Bank at the earliest pl. 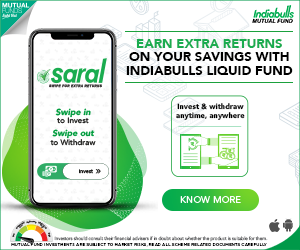 Do I need to fill 05 different Forms-15G for 04 Fixed Deposits and 01 Recurring deposit in the same bank? Dear Sandip..If they are not at different branches of the same bank, I believe that you can submit one Form 15G. However, If you have multiple deposits across different branches of the same bank or different banks, you still need to submit these forms at each branch. Sorry for not mention that these 04 Fixed Deposits and 01 Recurring deposit in the same bank same branch. Thanks a lot for answer and clarify this mater. Hi, I have submitted the form 15G online for this financial year. however I failed to save the screen shot of the UIN. How to get the reference of the same [UIN]? Dear RAJESH..I believe you can get it from your banker or the TDS deductor. Can you please give us the link for a word or excel format of form 15g and h? I am a srctzn investor with Muthood Fincance Limited for NCDs monthly payment scheme. I had been submitting my declarations for no TDS in Form 15H for two years to their Delhi office. This branch office told me verbally they have received an internal memo from the Registrar of their company, advising not to accept from their investors any more Form 15 H in paper form next FY -2016-17. I think the new Rule does not make any change in Form 15 H or its paper form submission by investor to the person responsible for paying the income . On the other hand, the new rule makes it obligatory for the person responsible for paying the income to allot a UIC in the form and to simplify the procedure, transmit the information of Form 15H to tax authority through a electronic process, instead of physical form. Please Clarify. Yes true you are correct. Also, kindly note that the Govt has issue one more new notification that all the interest income received from all types of Fin instruments have to be reported in Income Tax Return. Read this notification…click here..
From my query dated March 23 and your reply dated March 25 2016, I understood the Payee (Muthoot Finance) cannot refuse their Investors to submit to them paper form Form 15 H (in New format) for no TDS deduction for FY 2016 – 17 . If they do so, it would be a violation of Govt. new Rule and procedure. On the other hand, the Payee (in this case, Muthoot Finance) will be under an obligation to generate and assign an UIC in all Forms- 15H received by them from investors and transmit relevant detail quarterly to Income Tax authorities through Electronic Process Only. Also,the Payee will be required to maintain all Form 15-H received for a period of 7 years or so. Please confirm. Now I’m working since 2 year . still i want to continue more than 2-3 years.After i’m resign . after i want to withdraw full amount of PF it can possible easily . Dear lakshmi..Kindly read this : Latest EPF withdrawal rules 2016.
dear sir, i have cghanged my company now i have to withdrwal the epf ammount my prevouos company HR send me 3-forms pension and pf withdrawl and 15g so what is 15g and how to fill it plaese support. Dear Rajesh..If you are employed now, you can not withdraw your PF amount. You can only transfer it to your new EPF a.c.
Latest EPF withdrawal rules 2016. Let us presume My interest income is around Rs 2 lacs and amount of pension is Rs 4 lacs,Since I am a senior citizen ,please guide me as to whether I have to submit 15 H to each banks viz S.B.I. and HDFC bank.Secondly If I make a fresh investment then also as to whether I have to submit 15 H ?Distinct of shares are not available in case of demat account,then what I have to mention. Dear Snehamoy..Kindly read this one: Misconceptions on TDS.. It is my Suggestion that based on last Income tax return showing NO TAX submitted to the Bank concern, no TDs should be deducted on PAN mentioned in the Return.This can be replaced form 15 G/H. next doubt is. I have account in TNSC bank, so i need to fill part II of 15G by myself and submit to the bank or the pf office along with form 10c and 19…. If your are submitting now, it should be FY 2015-16. Kindly leave part-2 blank. You have to enclose it along with your EPF withdrawal forms (depends on the purpose). Dear SUJATA..If he is not receiving any income from investments like Bank FDs, no need to give Form 15H to the bank. A clarification will be most useful – In column 18 of Form 15G, should I mention the form 15Gs sent by me to the SAME institution or is this ACROSS ALL institutions where I have deposits? Dear Natarajan ..It is across all the institutions where you have submitted the Form15Gs. I am Senior citizen(62 yrs). I have earnings from investments, say Banks(A), Bank(B) and Real estate leased space (C). I have submitted Form 15H to the above organisation. The real estate(C) is asking to submit New Form 15H. Please clarify what all to fill in points 16,17,18 and 19. 16 – The entire expected income for FY 2015-16. 17 – If you have already submitted any more Form 15Hs for FY 2015-16, you can submit those details. 18 – Mention the distinctive number of account number of term deposit, recurring deposit etc. The Deductor is a Co-op Bank not having Internet Banking facility,it receives only physical forms of 15 G/H. There is no option of submission of form 15 G/H on its e-filing account. How should the Bank obtain UIN to allot it to its customers? And then how should this bank submit the physical form 15 G/H received from customers? Kindly guide me in this matter. Dear Bharati..From the institution point of view, I am not aware of the procedure. Sir, in nut shell you have quaoted all the required information and thanks for that .but how to get UIN is not mentioned by the department. in first discussion i feel that on the basis of form recd as if we are mentioning the details of freight persons for whom we didnot deduct the tax the same way we will file the detials in quarterly return and as like form no. 16 -A we will receive automatic no. and that will be UINO. But actually it is not like that and firstly we have to take UIN and then that no. has to mention in quarterlt returns. if we have bulk fd investors what short cut we should apply for taking UINO. What is UINO? Are you talking from an employer view point? Iam renewing a fixed deposit of 1.5 lakhs every year from the past 5 years. This income is not related to my current financial year 2015. Then what should I mention in the field where asking the previous year to which the income is related? Dear Raj..I believe that you should mention it as 2015.